For those of us who need to feel the wind in our nostrils and the bugs in our teeth, there is nothing like riding with a half helmet. It keeps Johnny Law off our backs and offer some protection should we ever have a close encounter of the pavement kind. If your old skid lid has seen better days, do yourself a favor and scoop up a fresh bucket from Speed and Strength! 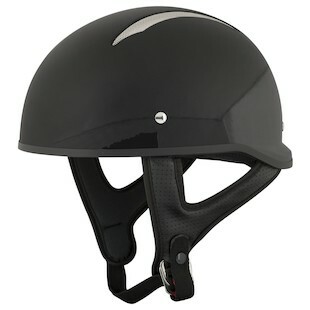 SS has three brand new “Solid Speed” half helmets for 2016 to keep you legal and protect your noggin’ from the proverbial asphalt floggin’. 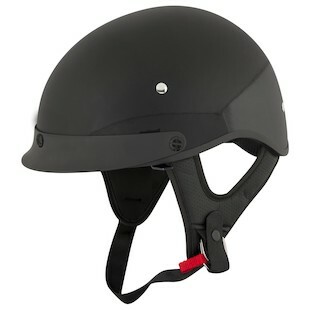 If you are a hardhead like I am and might even wear a ball cap if you could find one with a DOT sticker, the new Speed and Strength SS210 Helmet is smaller, slimmer, and more stripped down than the SS200 it replaces. The step up to the Speed and Strength SS310 Helmet gets you a little more coverage out back than the 210 and two cheesegrater mesh vents to keep cool- a rare feature on a half helmet. I guess most manufacturers figure we’re cool enough already! 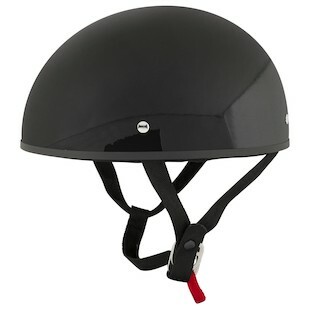 At the top of the food chain, the big papa Speed and Strength SS410 helmet will maintain the classic style and drop down sun visor of the SS400 but with an even shorter “shorty” brim. Like the old Ford Model A, you can have any color Solid Speed half lid you want, as long as it's black! The solids in all three styles will be available in either gloss or matte black because black is badass and all other colors just aren’t as good. Speed and Strength has been making a reputation for themselves with casual-style gear that offers low-profile protection and that is why they are one of the fastest growing brands in the industry. The way I see it, the safest gear is the gear you’re actually going to wear every time you throw a leg over. Every rider has to decide for his or herself exactly how much protection he wants and live with that decision. We don’t need a lecture, and I for one won’t tell you what to do with your own life and safety- but your local government might! Here is your “get out of BS free card.